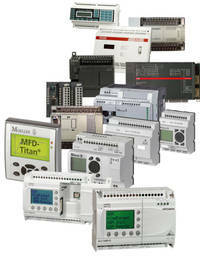 The "languages" (protocols) of leading PLC manufacturers are integrated in Tixi Alarm Modems as required. This enables Tixi to read and write variables or I/O ports without having to load drivers or functions blocks in the PLC. If a PLC is required to send fault indication messages via a Tixi modem, Tixi scans the PLC variables or inputs in the PLC and initiates the sending of messages automatically, without the PLC having to do anything. A Tixi protocol (TiXML, Tixi bus) is loaded into the PLC. Further information on communication for the PLC and Tixi is provided in the TiXML and Tixi bus manuals.